2017 In A Sentence: With a very young team, the Tigers improved to 3-5 within the MEAC and 3-8 overall and had won three of its last four contests–the second straight season with 3 wins. Biggest Shoes to Fill: WR Derek Kirkland led the team with four touchdown receptions and was second on the team in yardage with 232 yards. Key Player: DE Stefan Banks was seemingly a one-man wrecking crew last year in his freshman season. The now-sophomore led the MEAC with 10 sacks and was second in the league with 18 tackles for a loss. Fearless Prediction: This will be the Tigers last Division I season before moving down to the Division II ranks in 2019. 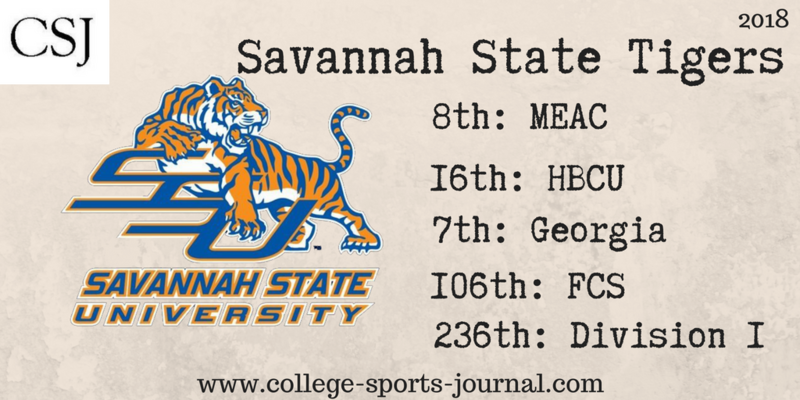 This very well could be the best team of the Division I era in the team’s history and very well could exceed expectations and finish in the top half of the MEAC standings.